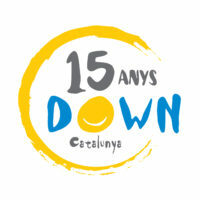 Down Catalunya was born on January 17, 2004, by Down Lleida, Down Tarragona and Astrid21 with the aim of providing protection and creating synergies between the different entities that work with Down syndrome in our country. Since then, our federation has worked intensely and has been fulfilling many of the challenges and desires that were proposed that day. Currently, there are already nine entities that comprise it and we can say that it brings together more than 4,000 people. We work in a network with the entities, we have created different spaces for debate and meeting, we strive every day to give visibility to people with Down syndrome and we collaborate with public and private organizations. In the field of education, we have participated in the creation of the Inclusive School Decree and, lately, in the creation and design of the Webteca. We remember with pride when we were declared an entity of public utility or when we were awarded the seal of the Fundación Lealtad, where we were rewarded for our transparency. Down Catalunya wants to celebrate these fifteen years of work, with a series of activities and news, which will be happening throughout 2019. Examples are the creation of a new special “logo” for this anniversary, the renewal and adaptation to mobile devices of the new website, the development of a space that we have called “15 anys / 15 fites” where we will review the 15 performances of our federation that have been more relevant, the cession by the composer of the Catalunya nord Pascal Comelade, of one of his musical pieces or a series of messages from very special people that little by little we will reveal. Many surprises that we hope you like and that we will be announcing throughout the year.